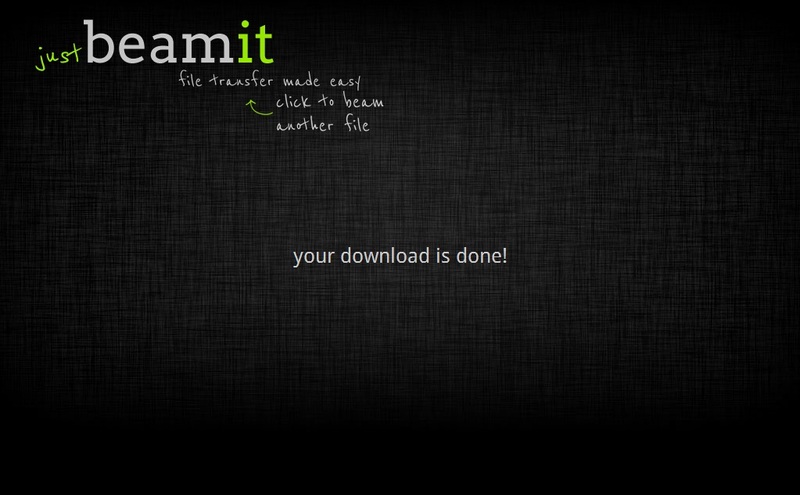 Transfer larger file easily using Justbeamit. If you want to transfer larger file easily and not want to spend too time to upload file on any site like Dropbox,Google drive. You can upload files and share it on these sites Dropbox,Google drive and you dont have space to upload on it so use Justbeam it. 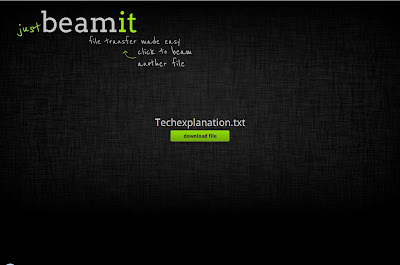 Justbeamit make you computer a server because it dont tell you to upload file.If you are a Google chrome user so Justbeam it make his process more simple for you.Just add Justbeamit extension and drag drop you file in extension bar,it will generate private sharing link.Then give the generated link to your friend.If your friend go to the site and click on download button. 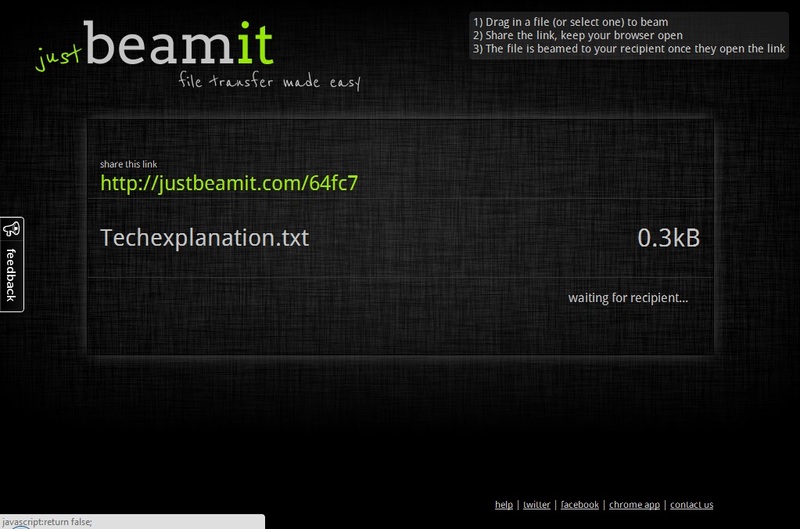 How to transfer file using Justbeamit. 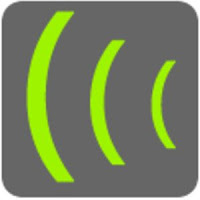 Visit to Justbeamit site http://justbeamit.com/ . Drag and drop your file into drop zone and service will generate private link.Send private link to your friend.Your file must be in size of 2GB. Give your link to your friend and when he will go to the link he will see the download button.Once your friend download will complete You can close the Justbeamit. Once your friend download will complete, it will show you process completed message after that you can close your browser.